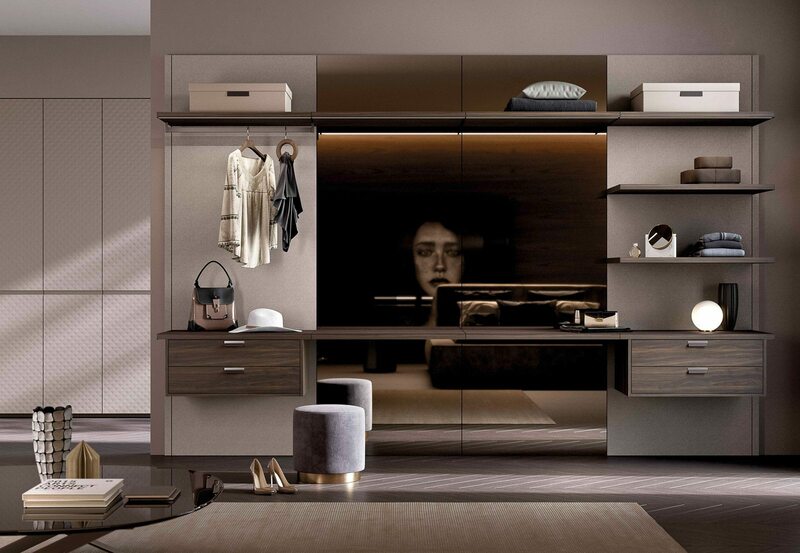 A taut piece of fabric closes the volume, completely doing away with the perception of the wardrobe itself, that seems almost like a magic box. 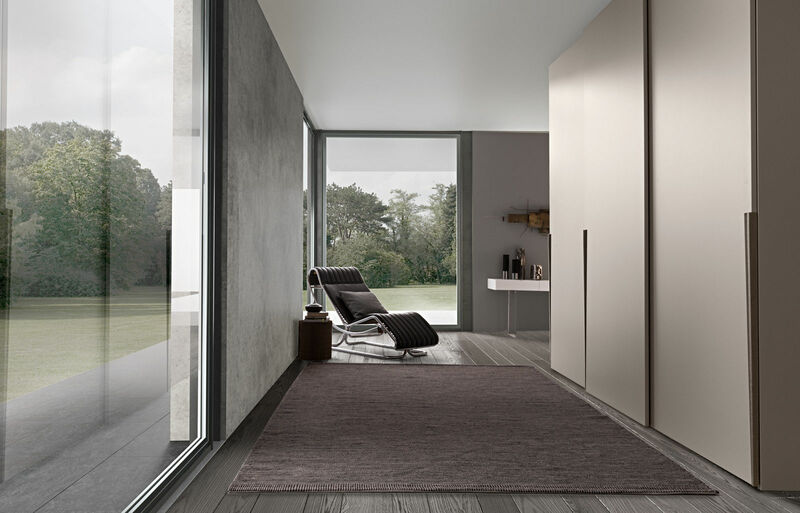 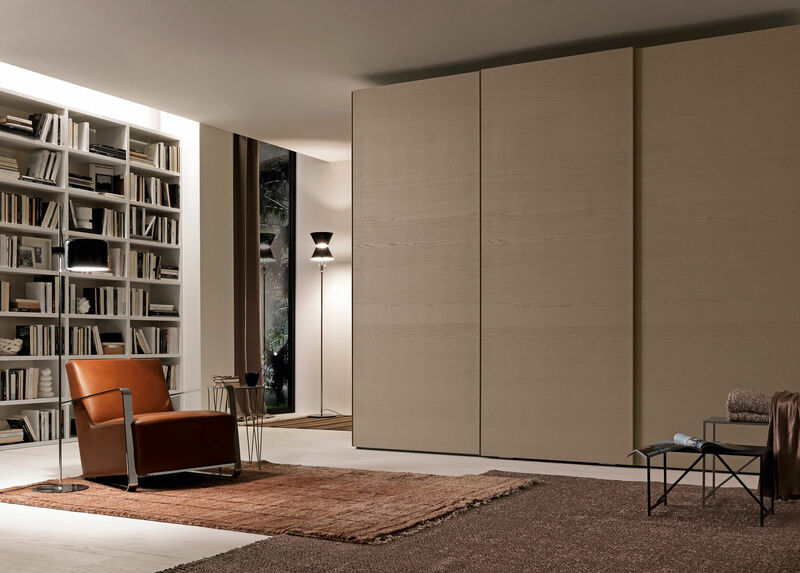 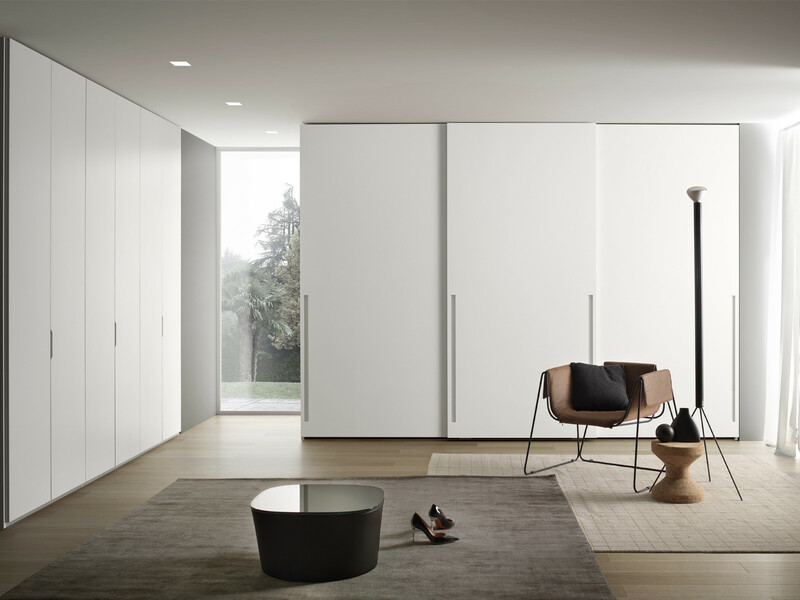 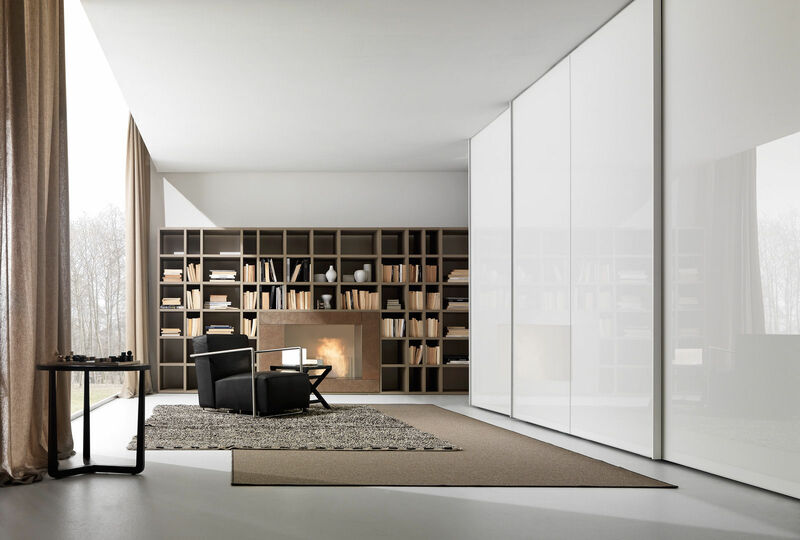 The classic lacquered and glass doors have disappeared and in their place, we find a single fabric door, its length extending over that of the entire structure: Et Voilà surprises, revealing with a simple gesture its spacious interior. 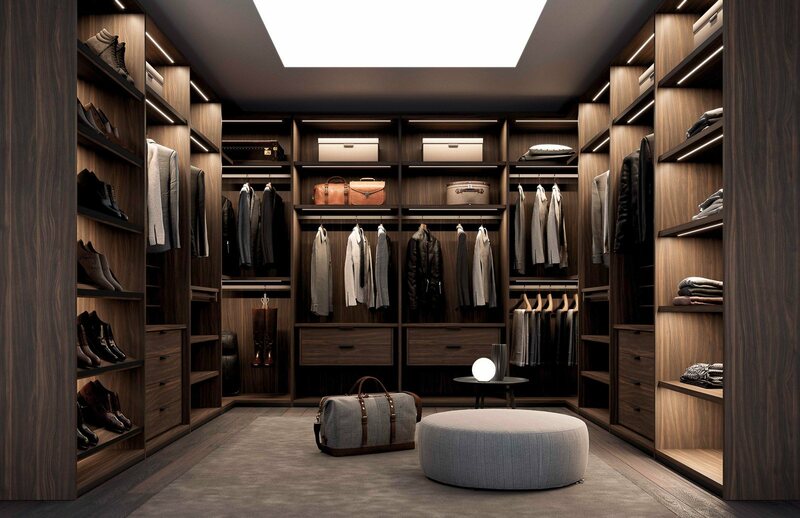 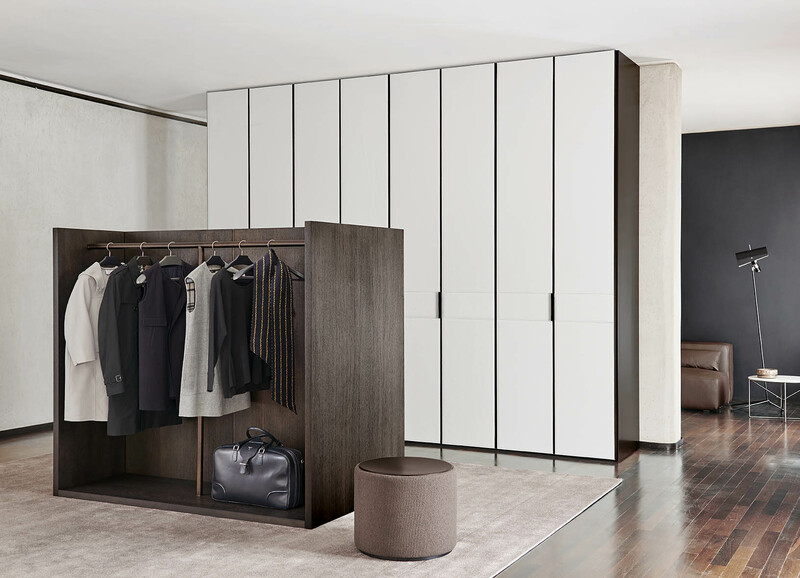 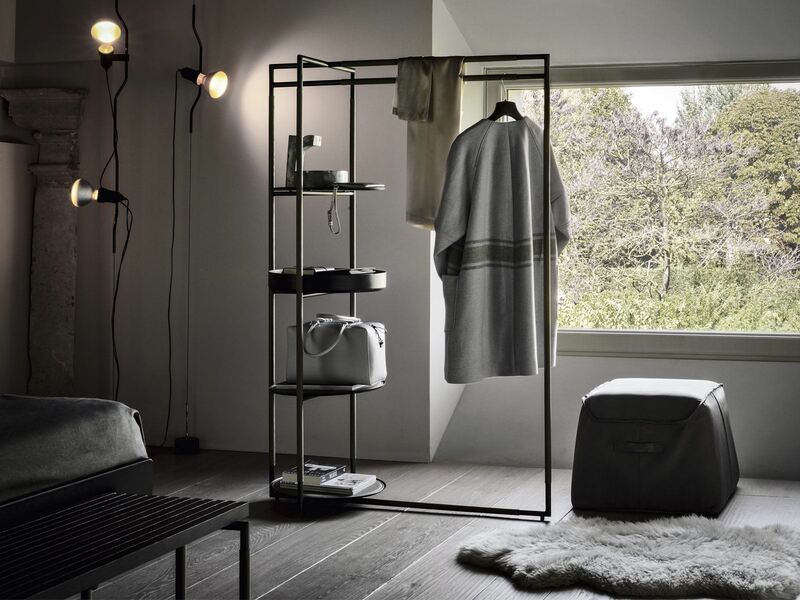 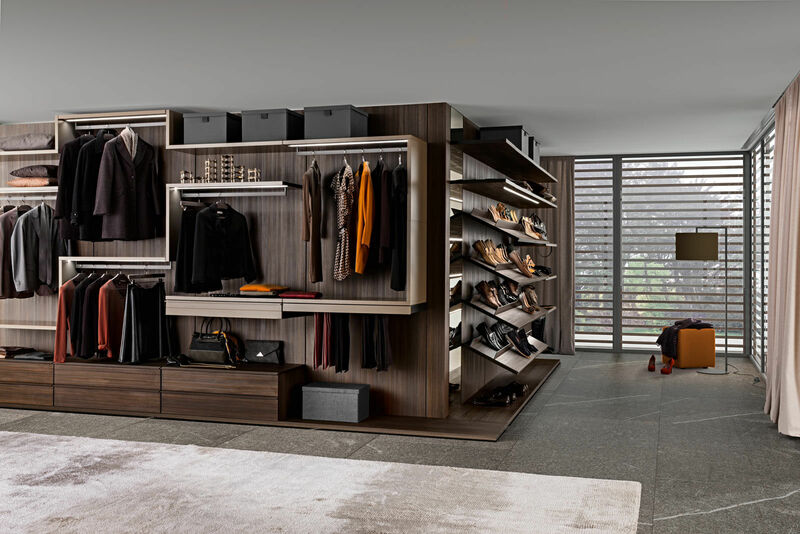 The Et Voilà wardrobe is customizable to the millimeter and can be equipped with shelves, drawers, mirrors, LED lights and a metal rack that acts as a clothes hanger. 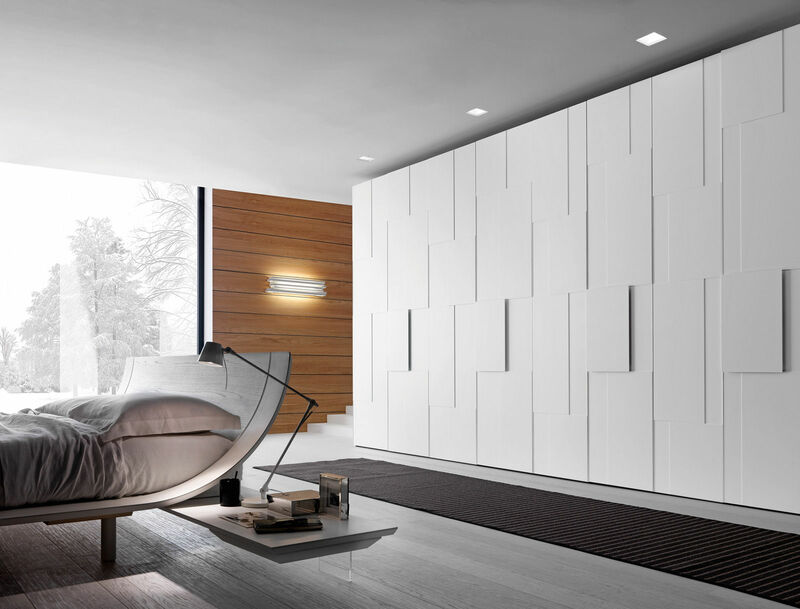 It can be placed traditionally on the floor or wall hung. 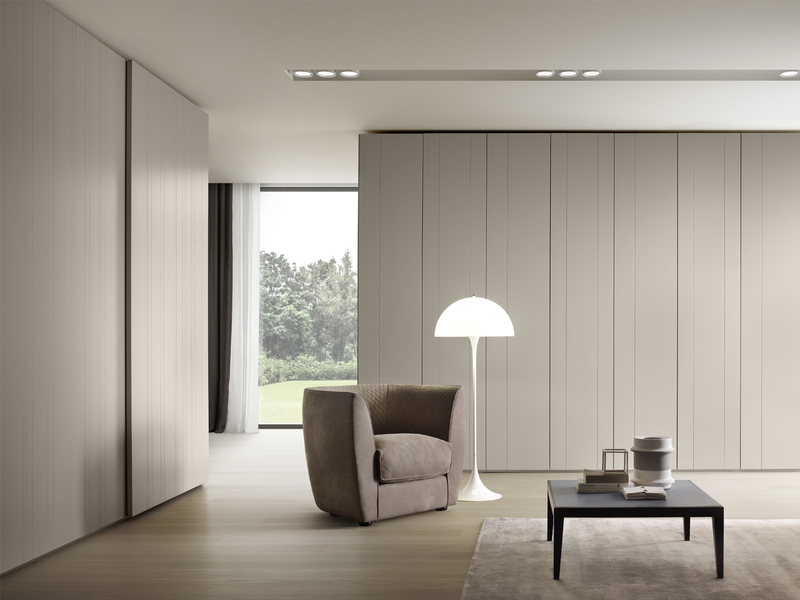 The fabric used as a door contributes to the acoustic comfort thanks to its sound-absorbing properties. 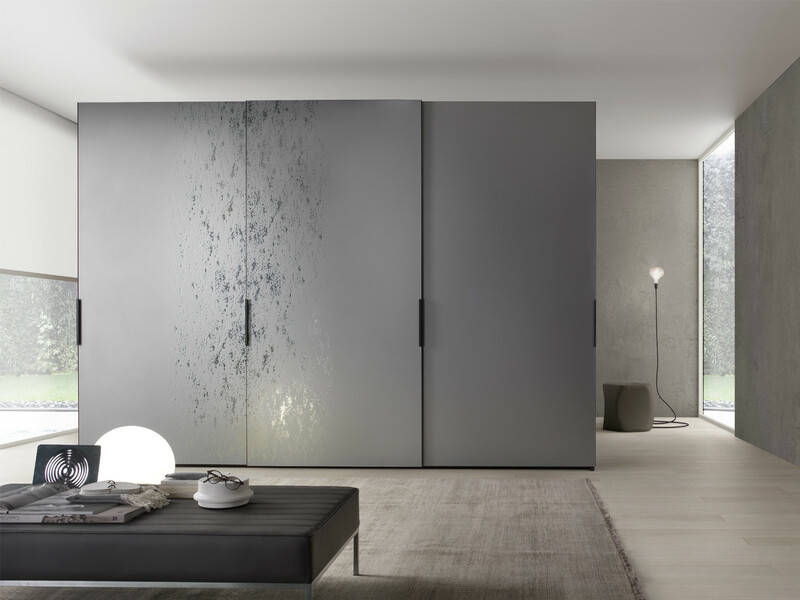 Silent sliding systems on invisible rails and a special weaving of technical yarns ensure resistance to dust and to the wear and tear of the opening cycles. 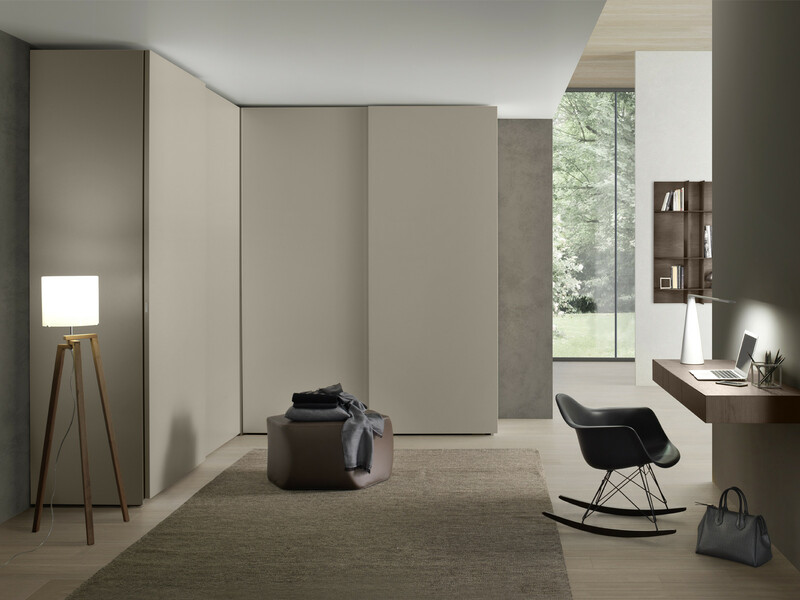 The internal structure is in melamine (2 colours), external sides melamine, lacquered of fabric covered in many different colours. 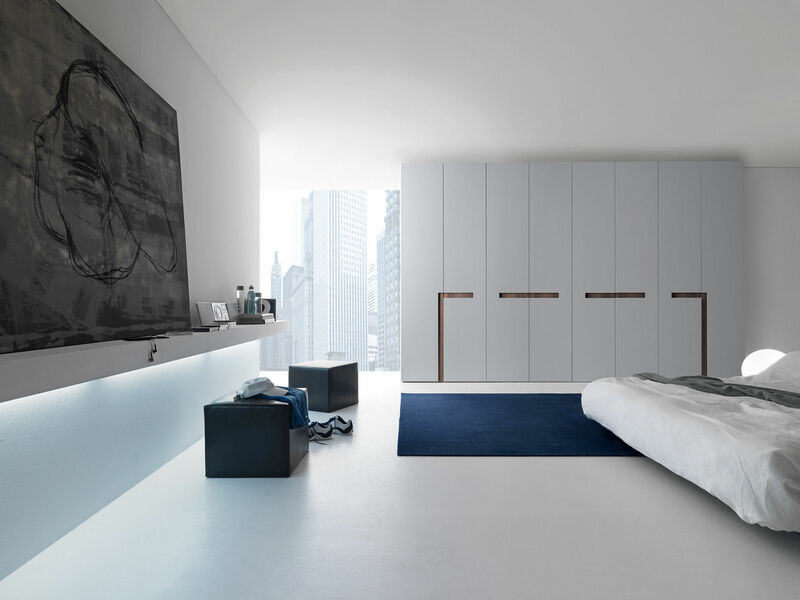 The dimensions can be customised in height and depth. 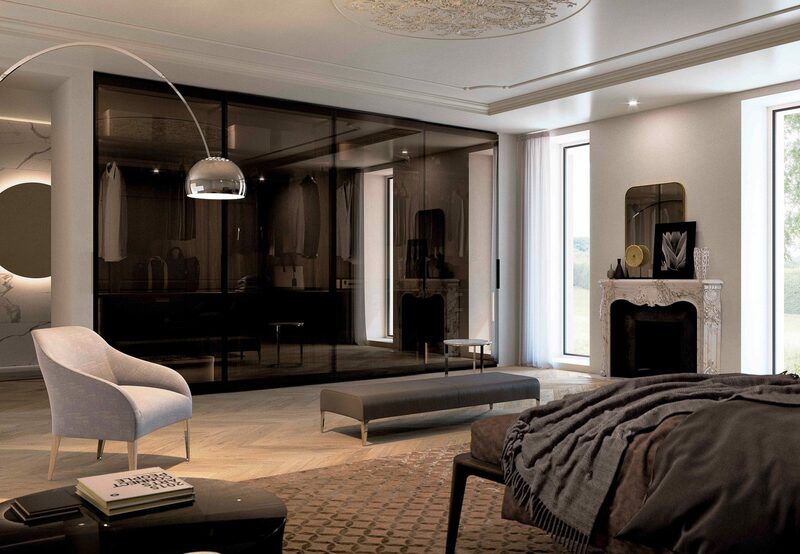 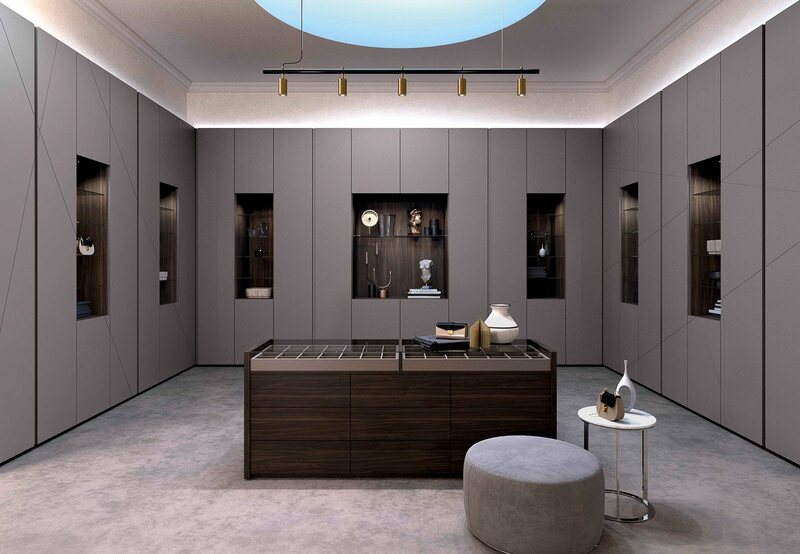 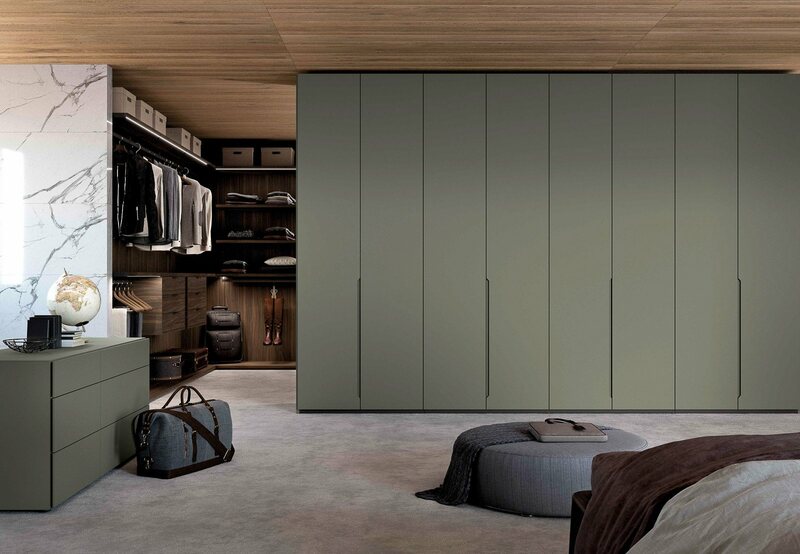 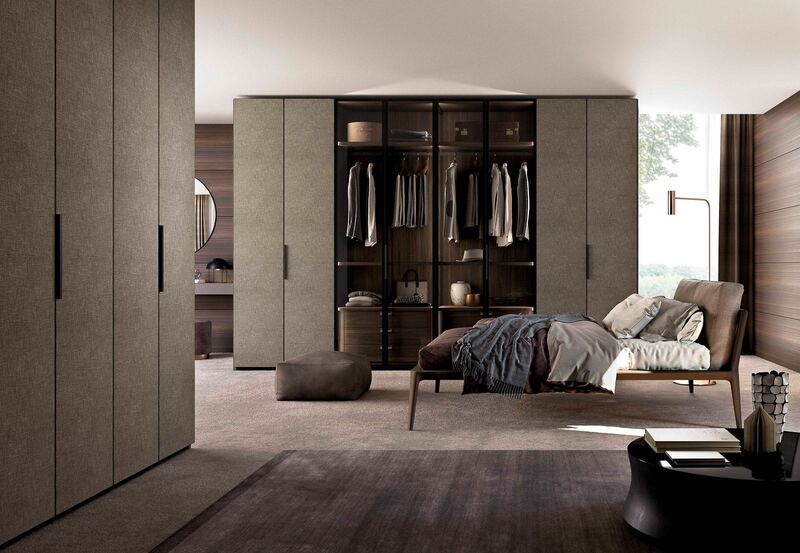 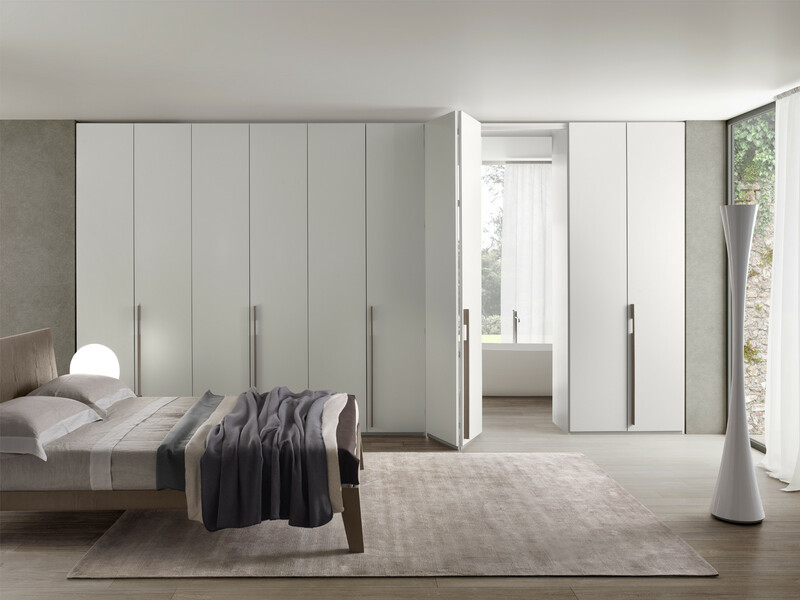 Et Voila Wardrobe average cost is between £3,700.00 to £5,500.00 depending on dimension and chosen finish.